Is coaching required for GATE? This is a myth famous in most of the people of our country that coaching centres are a must. Candidate preparing for any exam must go to a coaching centre and prepare over there and crack the exam. This article is written in breaking this myth and also in collaboration with the alternative methods for getting assistance about GATE examination. Our families have been sending us to the coaching centres since we were little kids because this is what they saw happening around in the society and followed the same tradition without even evaluating it logically. This trend has amputated most of the students of their self-study skills which would have been far amazingly better than studying in coaching centres. But still it's never too late to bring out and exercise what’s hidden in you. Start preparing for the GATE examination on your own. It is most certain that you will face numerous difficulties but all these difficulties could be overpowered very easily especially in the present time of Internet where you get unlimited results for any query. Gate - PrepLadder also provides you GATE topic tutorials from each stream. Now several questions arise like where to start from, what to study, what is the pattern, how to learn the shortcuts, etc, etc. In coaching centres, tutors begin with topic wise study and informs you about important topics. Same could be done at home by self-study. Browse the internet to find important sub-topics in the topic that you are preparing. In coaching centres, tutors teach you the short cuts, well in that case short cuts can again be learnt online.Gate-Prepladder also regularly provides tips and techniques to solve the question. Tutors in the coaching centres will give their lectures, rest of the preparation and understanding have to be built by you.When the prepartation is done by you,you will better understand and never forget the topic . You can watch free online videos on almost every topic on youtube. Well If this is what you are taught in coaching centres and same can be done at home then why not sit home and study yourself and save money, time and extra energy. Normal IQ candidate can easily prepare on his own because GATE is an exam of basics. But exceptions do exist for the candidates who need all time assistance of a mentor to explain things to them.In that case, coaching centres are a life saver for them. This is for sure that you don’t know everything about the GATE examination. Then what? Use the technology, use the internet and download the syllabus and exam pattern. This will help you to filter out the topics that you need to prepare. 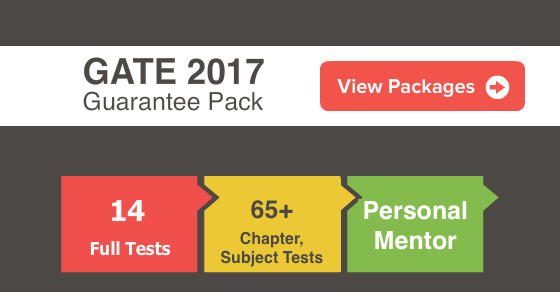 Begin with the first chapter, while preparing this, you can mark the important topics which have been given in the previous years examination and similarly prepare your syllabus. Gate -Prepladder will try to help in every way around. The experts at Gate - Prepladder share their tips how to solve questions on any particular topic. They provide timely information what plan to be followed. 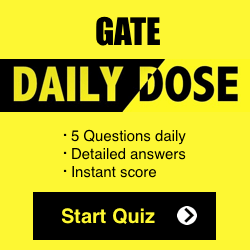 You can practice questions daily from our website.Join Mock tests and other test series which will help you in improving your weak areas and skills.